Most people have cold feet purchasing commercial refrigerators for their restaurant, so they end up buying residential ones. Residential refrigerators cost them so much that at times it’s not worth it. At Chef’s Deal Restaurant Equipment; they offer commercial refrigeration for sale. 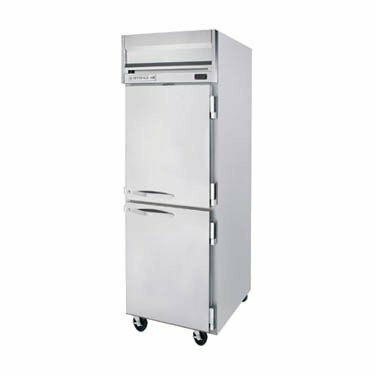 They have blast chillers, commercial freezers, commercial refrigerators, food prep tables, walk-in coolers/ freezers and much more. They want their customers to keep cool at all times, which is important for restaurants. A great advantage is that they have great customer service. Commercial refrigeration is more ideal than residential ones. Let’s go back to the refrigerator; the normal residential ones may be manufactured with fragile material. The reason for this is because they were met to be used at home, not for heavy duty in the kitchen. Another issue is the storage space that is has to offer, along with it not being cold enough. Restaurants store food for days, and they need the refrigerator to be at a certain temperature so the food can stay fresh. Therefore, commercial refrigerators can work on heavy duty and provide you with the cool, freshness you need. Why Chefs Deal Restaurant Equipment? This is your restaurant; you have a right to be picky. But most importantly, you should make the correct choice at the end. Chef’s Deal Restaurant has a commercial refrigeration for sale going on and there brand is kickinn’! Chef’s Deal team has a priority to make their products the best in the market. They also have dependable brands with good quality to invest in. The reason you need their products, is because they are top notch! You wouldn’t want to have an issue on a busy weekend, where you would have to shut down your business. It is always best to stay on the safe side, and this safe side is the best option to choose. You now have the highest quality of products for amazingly inexpensive prices at your feet! Act now chill later. Chef’s Deal Restaurant will also be available for chats for any advice or recommendation on commercial refrigeration. This is a big step for any restaurant and it must be perfect. Why settle for less than that right? We offer the best deals you can find in the United States and Canada. And since we have a variety of commercial refrigeration for sale, you can buy all you need from us. Instead of going through the hassle of going from store to store! From experience, we can provide customer satisfaction, as well as quality in any equipment you purchase. We take pride in what we do and sale; let us put our legacy in your restaurant. With astonishing quality assurance of our products, your restaurant will thrive to success. No more worrying about what might happen to your commercial refrigeration; you found the right place to let all your worries go away. What are you waiting for? Come and start the legacy of your restaurant here today with the commercial refriegeration for sale!